Waiting for a tax refund that has been delayed can be a grueling experience, especially if you are counting on it to take care of an important expense. 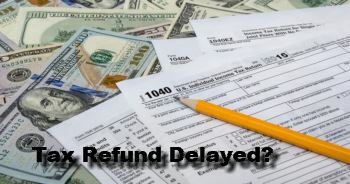 To make sure that this never happens to you, here are the top reason why tax refund are delayed. One of the most common causes for having to wait longer to get your tax refund is due to incorrect or missing information on your tax filings. Having missing or incorrect information causes a delay in processing your tax filing, thus leading to delayed refunds for many! These things can easily happen if you file your taxes by hand, as you can easily have missing, incorrect, or misplaced information on the return. Some of the biggest mistakes include wrong Social Security numbers of dependents, having more than 1 filing status, or even having information on the wrong lines. Even typos can cause your refund to be delayed because they are pushed backed in processing when information doesn’t match. Almost all of these mistakes happen when you file your taxes by hand, so think about this before you file your taxes! Mathematical errors are a big cause for delays in tax refunds for many people, and mostly those who file by hand. As with the missing & incorrect information when filing, using tax programs can greatly lower your chances on mathematical errors. 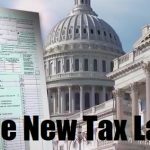 The tax code is extremely complicated, and includes many special circumstances, hence having a programs help is becoming a necessity. Some of the most common mathematical errors on tax filings include errors in calculations with Social Security income, amount of taxes withheld, & estimated taxes paid, to name just a few. So again we highly recommend using a tax filing program to help stop any filing errors that can delay you in getting your tax refund! Both filing your taxes early, or at the last minute, can actually cause problems and delays in getting your refund back on time! When you file early, there is a chance that you could run into a change in the tax code or procedure that is often implemented last minute. The IRS must then update their software, which is what causes a delay in the tax refunds. This can typically be avoided by waiting until the second or third week of the year to file. Filing at the last minute can also cause a delay in receiving your refund on time! Because of the huge volume of people filing at this time, many people, especially ones that have filed by hand (paper) will see a delay in their tax refund. Also filing late can increase your likelihood of identity theft, which not only is a hassle to fix all the problems that can arise from that alone, but it will also delay your return being processed significantly, as the IRS will delay all returns that have a social security number that has already been filed! These should be taken into consideration next time you are filing your taxes! If you want to amend your tax return, you must prepare a changed return if you require to make modifications to your tax return after you’ve submitted. Modified returns are disqualified for e-filing and should be sent by mail to the IRS. Processing for a modification takes an approximated 8 to 12 weeks from the date the IRS gets the return. Knowing what causes delays in getting back your tax refund for most people is critical to making sure that you don’t receive any delays in getting it! Getting your tax refund back quickly is very important to many people that count on it each year. 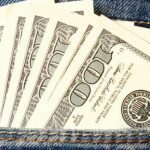 If you are one of these people, or you need your tax refund back for an emergency, then knowing this information is very important. 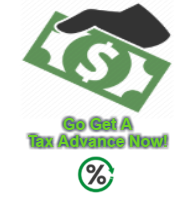 In addition, using the services of Tax Refund Loans, and getting a tax refund emergency cash advance can also be a solution for people who have an emergency and need the cash right away!